With this Bling…I thee wed! 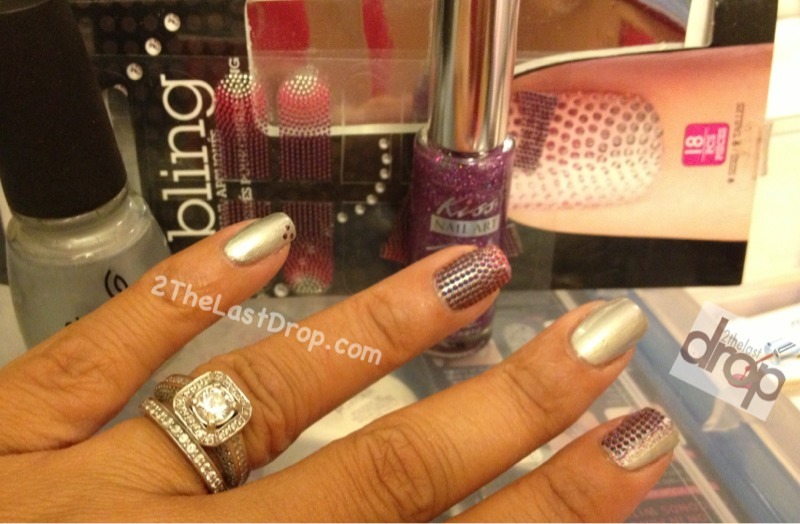 Check out these fun little “BLING” stickers by Nail Bliss that I picked up from Sally’s. You can glam up the entire hand or add an accent finger or two. I chose to cute a few pieces of the stickers to keep this from being too busy. 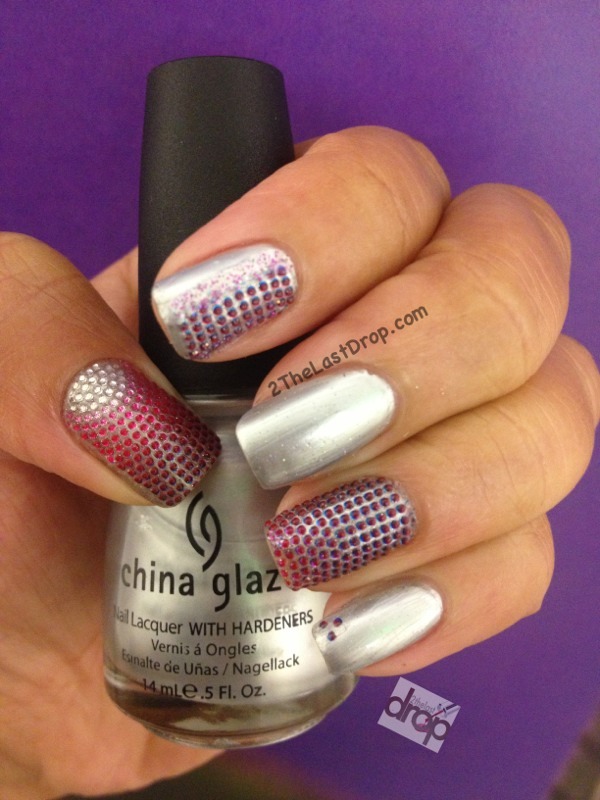 The base color is “Platinum Silver” by China Glaze. 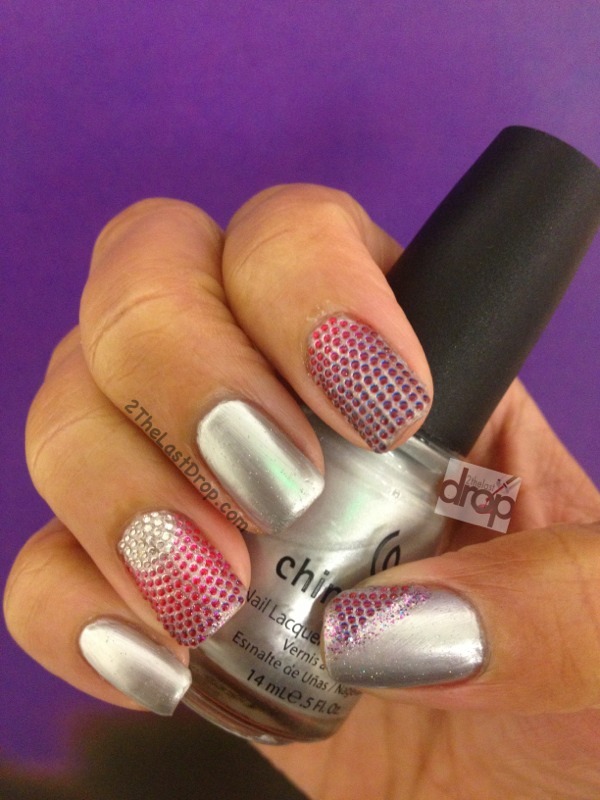 I’ll describe this as a gradient half-fish egg caviar looking manicure! FUN. FUN. FUN. Would your rock it or knock it?